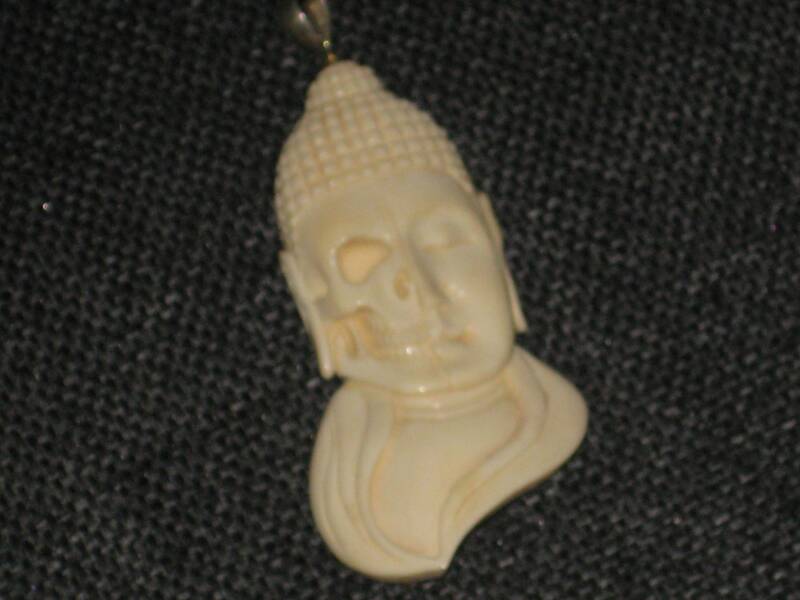 Buffalo bone Buddha face pendant with sterling silver bale. 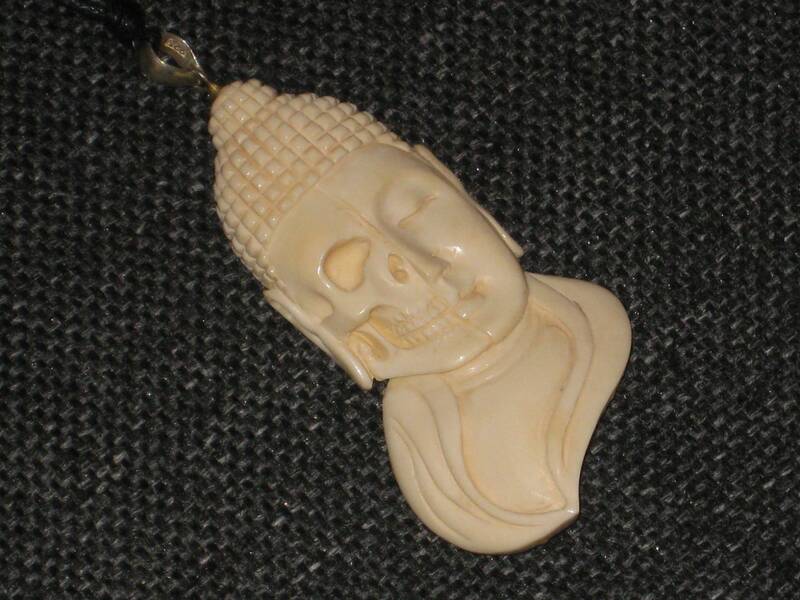 Hand carved buffalo bone Buddha face pendant with sterling silver bale, and adjustable necklace. 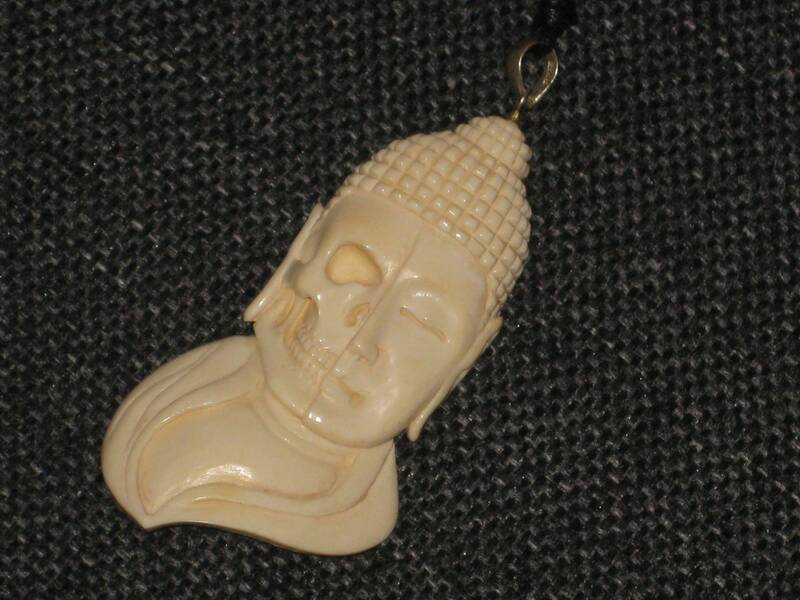 The Buddha face is split, half face , half skull. Very unique and unusual, but very cool. 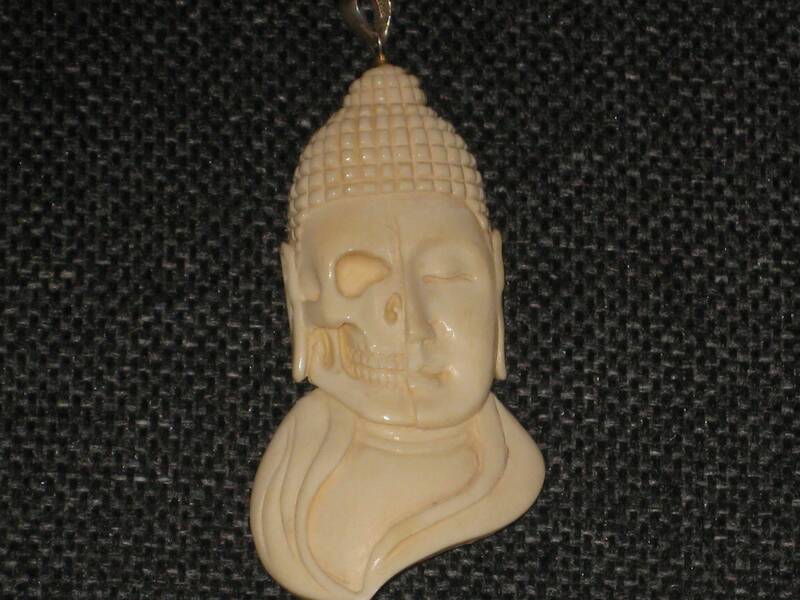 This item is made by me, including carving the pendant. 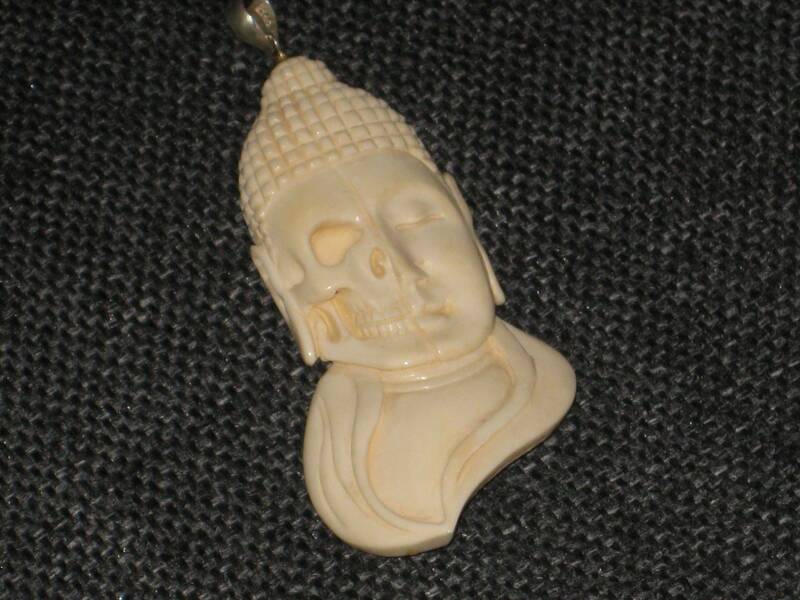 Made in a smoke and pet free home, and is shipped from Canada. If you have any questions, please don't hesitate to ask.